Several days ago Dan and I had the opportunity to take our tandem bicycle for a ride without pulling Meredith in the bike trailer. As you might guess, these occasions are relatively infrequent, and although we love the opportunity to get out as a family, Meredith at almost-five-years-old is getting not only weighty, but also not as excited about spending time in the bike trailer. I can’t blame her—she has her own bike now, and would rather bike than ride! So, with several hours to spend on our own, we popped the tandem on the truck rack and headed for Indian, ten or so miles south of Anchorage, where the bike trail along Turnagain Arm begins. (Yes, we could bike to the trailhead, but then we wouldn’t have as much energy or time to enjoy the trail!) It was a beautiful sunny day, cool and crisp at 10 in the morning, and we were having a wonderful ride. In case you don’t live here in Alaska, you’re biking along a steep-sided arm of Cook Inlet, with glorious steep mountains on each side, snow-capped and streaming with waterfalls. We’ve been tandem biking together since 1996, and we love it—you never have to hurry, you never have to wait, and you can chat as you bike. And after the first few weeks of learning to bike together back before we were married, we don’t fight on the bike anymore. There is a saying about tandem biking: “wherever your relationship is going, it’ll get there faster on a tandem.” I think the same applies for canoeing together. As we were coasting down a steep hill not far from the end of the trail in Girdwood, Dan (captaining, in the front position) suddenly slammed on the brakes. I was stoking (pedaling in the rear position), so couldn’t see what was ahead on the trail—I just hung on and tried not to drive my chin into his back. But then we slowed down and I could peer over Dan’s shoulder—and there was a very large lynx, trotting down the side of the bike trail! She (he?) heard us then, turned around to look at us, and then bounded up onto the side of the trail and into the trees. Gorgeous! We rode into Girdwood, turned around, and on the way back, we were of course admiring the views up the mountain and across the Arm… and there was a woman on a mountain bike stopped, looking straight up the side of the mountain. We of course looked up—and there were four bears, far above us on the hillside, rolling and sliding and playing in a snowfield! They were so far away there was no worry, but we were close enough to watch them play. WHAT A DAY!! We are so lucky to live in Alaska! When we got home, we ate this wonderful salad for lunch on the deck. YUM! This is a fun salad—and it makes a head of romaine into a complete meal. You can make a double batch of this dressing and refrigerate the leftovers in a jar for a meal later in the week, so you’re cooking once for two dinners. It’s a great dish for company, and it’s very easy to bring it along to a potluck dinner—just bring all the components separately, and don’t dress the salad until you’re ready to sit down and eat. (Otherwise, the lettuce will wilt before you eat it.) It’s based on a recipe from Peggy Knockerbocker’s book Olive Oil: From Tree to Table. I generally just serve this as an entire meal, because who wants to eat anything else? However, if you feel you need a little extra protein, it’s very nice topped with slices of grilled chicken breast or halibut (season with salt and pepper before grilling). In a food processor or blender, combine the anchovies and garlic and process to mix. Add the egg, most of the lemon juice, and the mustard and process to combine. With the motor running, slowly pour in the olive oil in a thin, steady stream. Season with pepper and process again. Taste, and add as much of the remaining lemon juice as needed to get a good balance of flavors. Refrigerate until you’re ready to eat. 1. Preheat the oven to 350 degrees. Mash the garlic with the salt in the bottom of a medium-sized bowl. Stir in the olive oil. Cut the slices of bread into ½” cubes and toss them in the garlicky oil until the oil is thoroughly absorbed and distributed. Spread the bread cubes out on a baking sheet and bake for 15-25 minutes, until the croutons are crispy and golden-brown. 2. 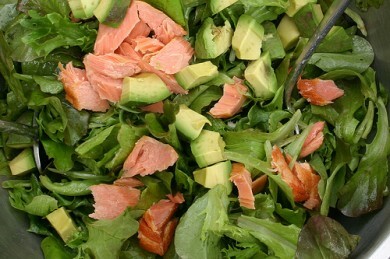 While the croutons are baking, wash the lettuce, dry the leaves and tear into pieces, and place in a large salad bowl. 3. When you’re ready to sit down and eat, drizzle some of the dressing over the leaves and toss, adding more dressing as needed until all the leaves are coated. Sprinkle with the Parmesan cheese, toss again to mix, and then toss in the croutons. Sprinkle with pepper and serve right away, before the lettuce wilts. One of the things that I’ve been letting go of lately is my self-imposed obligation to make a really fabulous dinner every night. I mean, I always want to make something yummy and healthy, but lately I’ve been doing less browsing in my cookbooks, and resorting more often to old favorites—usually SIMPLE old favorites. As this has happened, Dan has suddenly become more interested in cooking again. Since Meredith was born, and our time got tighter, he’s been more likely to focus on things other than cooking in his less frequent moments of free time. Now, maybe because I’m not menu-planning for every day of the week, there is more space for him to cook? Or maybe it’s because Meredith is almost five years old, and there is more time in his day? At any rate, it’s wonderful. He’s got this great new theme going on, too. In the past, he would generally choose relatively exotic recipes that would involve a trip to the grocery store (or several grocery stores) to get the ingredients. His latest thing is to find something in the pantry or freezer that has been hanging around for a while, and find something to do with it. Oh joy of joys! A couple of weeks ago he made a dish of white beans (from the freezer) on garlic-scrubbed toast, topped with sardines (from the pantry) and a drizzle scallions sautéed in olive oil (the scallions had been languishing in the ‘fridge). This week he got the idea to use up a big can of hominy, and ended up making this great vegetarian posole! He used up a tub of cooked kidney beans from the freezer, as well as a bunch of carrots and celery. I’m not sure what he’ll decide to cook next. Will it be the buckwheat groats I bought several years ago for a reason I don’t remember? Or maybe that box of whole wheat couscous from the Pleistocene Era? (It can’t go bad, can it?) What about that celery root in the vegetable drawer that has held up remarkably well for the last several weeks? Go, Sweetie, GO! Am I well-married, or what? This recipe is based on one in Peter Berley’s Modern Vegetarian Kitchen. He tells you to cook the hominy from scratch, but I think the canned stuff works just fine. You can usually find it in the Hispanic section in the grocery store. Same goes for the little cans of chipotle chiles in adobo sauce. Freeze the leftover chiles in a ziplock bag for later use. 1. In a heavy soup pot, heat 1 tablespoon of olive oil and add the onion. Saute for 5 minutes, until beginning to get transparent. Stir in the carrot, celery, garlic, bell pepper, tomatoes, chiles, cumin and sage. Add ½ teaspoon salt, cover, reduce the heat to low and cook for 15 minutes. 2. Chop the mushrooms into quarters or sixths. Heat the other tablespoon of olive oil in a large skillet and sauté the mushrooms and ½ teaspoon of salt until the mushrooms have released their liquid, the liquid is cooked off, and they are starting to brown. Set aside. 3. Drain the liquid from the canned hominy and add it to the vegetables. Add the cooked beans and 2 or 3 cups of bean cooking liquid to the vegetables, as well. If you’re using canned beans, don’t use the canning liquid—drain the beans and use water for the liquid, instead. 4. Bring the stew to a boil, then reduce the heat and simmer gently, uncovered, until the vegetables are tender and the stew has thickened, 20 to 30 minutes. 5. Add the mushrooms to the stew, and salt and pepper to taste. This will make twice as many beans as you need for this recipe, unless you make a double batch of posole—but cooked beans are handy! Just freeze the extra beans to use in another recipe later. 1. Drain the soaked beans, then put them in a pot and cover with cold water by at least an inch. Add the quartered onion, garlic, and bay leaves and make sure the water covers the onions. Bring to a boil, then lower the heat and simmer, partially covered, until the beans are tender. This could take 45 minutes to 1 ½ hours, depending on the size of the beans and how old they are. When the beans are tender enough to easily squish between your tongue and the roof of your mouth, turn the heat off. If you have time, let the beans sit in their liquid with the aromatics until cool. Remove the quartered onions and whole garlic and discard. Add salt to the beans to taste. So I’ve been writing to you lately about how I’ve been trying to take care of myself… by saying “no thank you,” and letting go of some obligations. We closed the bakery for a holiday in February, and after unsuccessfully trying to start a practice of sitting still and meditating to try and calm myself, I decided that committing to a daily practice of some relaxing yoga might be a better alternative. My goodness, it’s hard to sit still! I’d been doing a little yoga now and then for the past couple of years with my friend Margo. She is an amazing teacher, and her lessons focus more on relaxation and body alignment than other classes I’ve taken. Rather than getting a workout from her lessons, I’d get an amazing sense of calm. My body would feel more aligned and healthy afterwards, like I’d just given myself a massage. But I wasn’t good about keeping up a regular practice—my life felt too busy and frantic, and I just couldn’t add one more thing. But by February, with all the things I’d been juggling, this wasn’t an option. I needed something to help me relax and find some balance in my life! So I called Margo and asked her if I could take weekly lessons, and committed to doing my own daily practice during the week. Luckily, she was willing! Our lessons are different than any yoga I’ve ever done. Most of them begin with shavasana, relaxation pose, lying down with my knees draped over a tall stack of blankets so my back slowly melts into the floor. After I’ve completely melted away the tension of the day, we begin doing stretches and poses that are designed to release tightness that I’ve inevitably created by running, biking, or cross-country skiing. Margo’s yoga is not about getting exercise, but rather, to relax from the exercise that I do at other times. And it’s about the mental relaxation, too. I have to say that doing a weekly private yoga lesson with Margo, and then a little bit from the yoga notebook we’ve created each day (even if it is just the relaxation part) has made a huge difference to my body AND my mind. I’m not walking around all stiff and sore and stove-up from running and biking—instead, my back is relaxed and feels strong and healthy! And the relaxation every day has made a big difference to my mental space, too. I’m more prepared to meet the challenges of the day, whether I’m baking hundreds of loaves of bread, dealing with a missing CSA vegetable box, or comforting a hungry and tired Meredith at the end of a long, busy day… I have more resilience and calm with which to handle it. Thank you, Margo! If this kind of yoga sounds like your cup of tea, Margo is teaching some small ten-week classes this summer in her little yoga studio in her house. Each class is limited to six participants, so you get a really wonderful and intimate experience. If you live in the Anchorage area, you can still sign up—she has a few spaces left for the classes starting at the end of May. Since this blog is all about wonderful things I’ve learned from Margo, I figured I’d include a great recipe she’s shared with me! It’s a new way to make toasted cheese sandwiches! And are they ever blissfull! You might think it’s silly to have a recipe for a toasted cheese sandwich, but this recipe is something else altogether. Since Margo made one of these sandwiches for me, I’ve not made a regular toasted cheese sandwich. Instead of the usual plain cheese filling, you grill the sandwich with sundried tomatoes and red onions in it (OK, so far not that different), but here’s the kicker: after the sandwich is completely toasted and the cheese melted, you open it up and pop in a wad of fresh romaine leaves. Then you close up the sandwich and eat it, crunching the lettuce leaves and enjoying the melty cheese, dunking each bite in a little dish of balsamic vinegar. It’s so easy, and SO yummy! 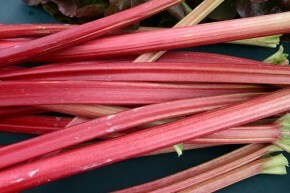 It’s great for lunch, or you can serve it with any seasonal vegetable dish or green salad for a wonderful dinner. 1. Spread each slice of bread with a thin layer of butter. On one slice, on the unbuttered side, line up a few slices of tomatoes, then layer slices of cheese, then top with red onions. Top with the other slice of bread (buttered side out). 2. Place sandwiches in a skillet over medium heat and grill slowly until the buttered bread is nicely browned on both sides and the cheese is well melted. 3. Take the sandwich out of the skillet and set it on a cutting board. Open it up (try not to burn yourself on the hot cheese) and pack it with several leaves of romaine. Close it back again and carefully cut the sandwich in half. 4. Put a small dish of balsamic vinegar on the table and dip your sandwich in as you eat it. 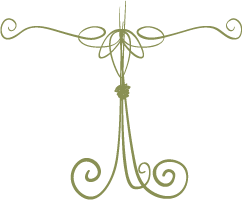 We love trying the different vinegars at Summit Spice and Tea Co. (1120 E Huffman Road). I wrote already about my mom and her clam spaghetti recipe, and now I’m going to write about my mother-in-law, Karen! She lives in Maryland, but is very accommodating about making the long journey to visit us (and Meredith) frequently. 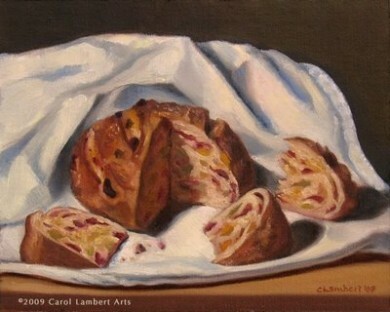 So, a couple of weeks after the fruited almond bread painting was supposed to have been finished, I emailed Carol and asked if the painting was for sale. She wrote back “Sorry, it’s already been sold!” and I was surprised that it has sold so quickly, a bit disappointed, but also happy for her that it had been sold. “Oh, that’s great,” I said, “I’m just glad it went to a good home!” I did wonder, though… was it one of our bread customers? And if so, funny that they didn’t mention it to us. So a few months went by, and Dan’s and my wedding anniversary was approaching (it’s on the Spring Equinox—March 21st). Karen had arranged for Meredith (who is four years old) to take us out for dinner to Sack’s Café for our anniversary—perhaps not the most romantic anniversary celebration, but certainly a fun one, since Meredith loves to eat, and we all love the food at Sack’s. Meredith was even in charge of calling to make the reservations (Karen had forewarned the staff at Sack’s, so it all went very smoothly). The only thing Meredith was concerned about was that she couldn’t drive us to the restaurant. Her grandmother assured us that her daddy could drive, but that Meredith could take care of everything else. We arrived right on time, festively dressed and ready for a great meal. The hostess tried to get Meredith to come with her (I thought for crayons and the kids’ placemat) but Meredith was a bit too shy, so we all sat down and enjoyed a wonderful dinner. Right before dinner, the waitress showed up with a HUGE flat package, wrapped in colorful jungle-themed paper. It looked like a puzzle, but it was way too heavy. And it didn’t rattle. What on earth? We opened it up… and would you believe, it was the painting of our fruited almond bread! Karen had bought the painting all those months ago, and had conspired with Carol, the artist, about wrapping it, writing a card, and dropping it off at Sack’s. Not to mention prepping the folks at Sack’s to deliver it to us! We were so thrilled, surprised, and grateful! What an amazing and wonderful, thoughtful and beautiful gift! Even though there’s a four-hour time difference, we called Karen as soon as we got home—not caring if we woke up her up to tell her how surprised we were, how we loved the painting, and how much fun we had at dinner. Luckily she was still awake! Thank you, Karen! Every time I look up at the painting on the living room wall I smile and think of you! Happy Mother’s Day to you, Karen—and to all you other mothers out there!